My father, Peter Lee, started acting while he was in the army, just at the end of, and after, the war. I know [film star, producer and director] Bryan Forbes, who I remember him referring to as ‘Mucka Forbes’ in conversation, was a friend of his back then, and also [comedy and character actor] Derek Francis. Somewhere I have a marvellous sketch Derek drew of my father waiting in the wings to go on as Sergius in Arms and The Man. 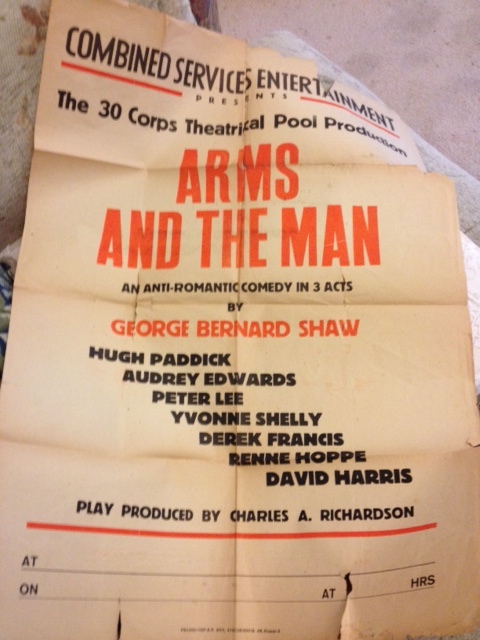 Here’s the poster for Arms and The Man, featuring my father and Derek Francis. Also in the cast is Hugh Paddick, who went on to find fame as Julian, with Kenneth Williams as Sandy, in the ‘Julian and Sandy’ sketches on BBC Radio’s Round the Horne comedy show. 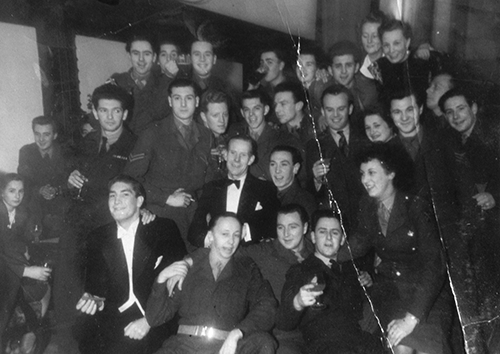 My mother, Hazel Peterson, was a student at RADA [Royal Academy of Dramatic Art] in the 1940s, being contemporary with such as Roger Moore and June Whitfield. I understand she was engaged to someone else when she met the ‘penniless actor’ Peter Lee. However, so enamoured was she of Peter that she threatened to throw her engagement ring into the Thames if it wasn’t taken back! Her engagement to Peter was announced onstage when my father, in the wings, mouthed the date of their wedding to my mother who was onstage. 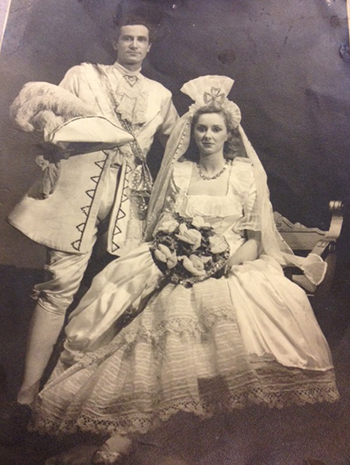 They were married in Maidstone on 4th February 1949. I’m afraid I don’t which theatre they were working in, but apparently the church was thronged outside with ‘fans’! 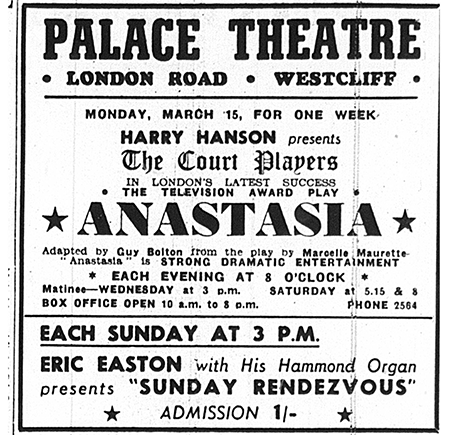 Moving to Westborough Road, Westcliff, my parents joined Harry Hanson’s Court Players at the Palace Theatre at the beginning of 1952. 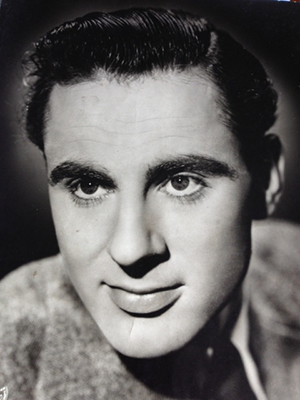 My father’s first appearance was in A Lady Mislaid in the January. 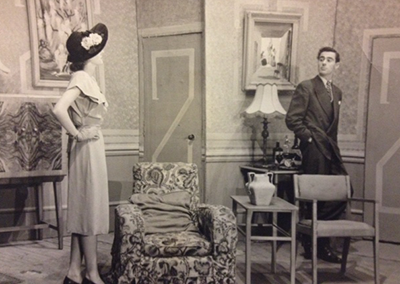 My parents’ first appearance together for the Court Players was in The Lady of the Camellias in March. 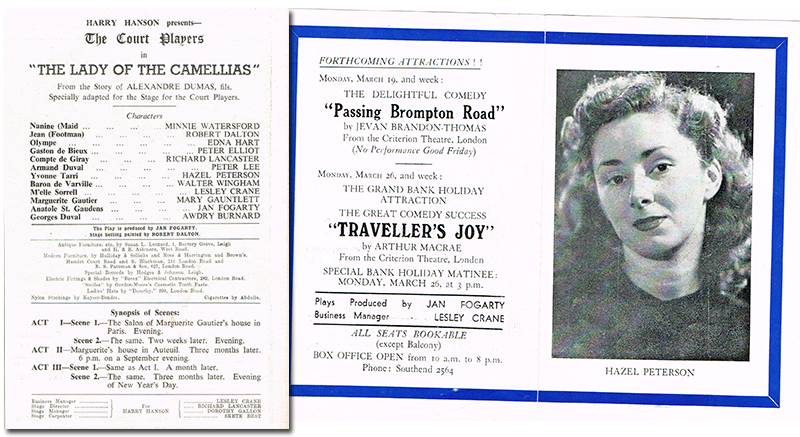 My mother’s photograph appeared in the leaflet advertising the play. During 1953 a young actress called Yootha Joyce joined the Court Players. In the 1970s, of course, she was to become famous as man-hungry Mildred Roper, wife of sub-letting landlord George, in the TV sit-com Man About the House and the spin-off George and Mildred. Yootha attended my christening. According to family legend she held me, I cried and she quickly gave me back to my mother saying “Babies don’t like me, darling!” Harry Bowers, a fellow actor [also in the cast of Queen Elizabeth] and a great friend of my parents, was my godfather. I have a silk scarf from Liberty, the famous West End department store, that he sent me one Christmas. My mother had given up acting after I was born. (My sister was born six and a half years later.) 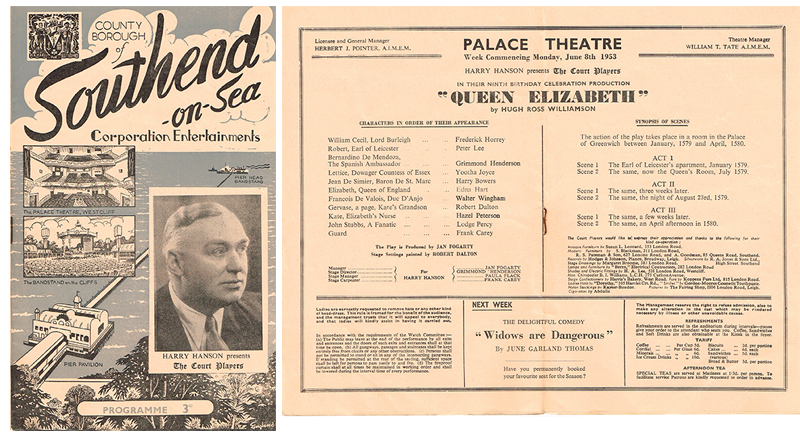 I think my father continued until the middle of 1956, although his final show with the Court Players was Birthday Honours in October 1954 (after three more shows Harry Hanson left the Palace). 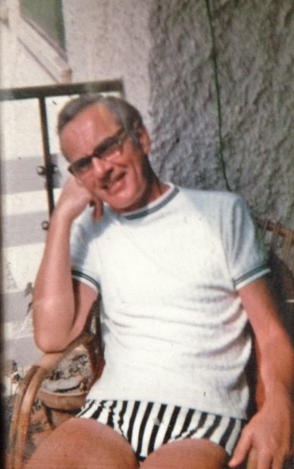 My father had definitely left the stage by the time we moved from Westcliff and he became front of house manager at the Odeon Leicester Square, where many film premieres were, and still are, held. He was there for some years, before working as a buyer for Derry and Toms department store in Kensington High Street. Ultimately he became General Manager of another department store, Barkers of Kensington, before his untimely death from cancer in 1977. 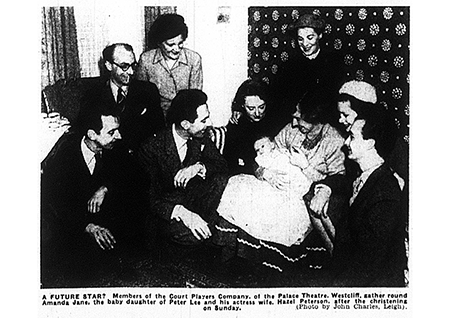 However, acting was still in their blood, and, when we lived in Petts Wood, Kent, my parents started a thriving play-reading group with a number of other couples. The group met many times a year in each other’s houses for quite a few years until my father’s death. My mother is still with us but, sadly, she is suffering from dementia. As a child I used to love the stories of misbehaviour on the stage, such as the time when my father had a drink passed to him with the line “Your Vichy Water, sir” – only to find a goldfish in it! Or the time when the ASM had a walk on part as a maid and, as she left the wings to go on stage, my father hooked a long Father Christmas beard to the back of her apron! The challenge was not to ‘corpse’ [break character and laugh]! Very unprofessional, of course, but it must have been an exhausting life, rehearsing one play during the day and presenting another each night, week in week out! Long after my father left the stage he kept all his copies of ‘The Stage’ and his makeup box. When I started to act in drama productions at school this box came out and he taught me many tricks, such as how to ‘age’ convincingly, the use of contours, etc. I longed to go on the stage (my big regret), but having done it themselves my parents were quite adamant that I should get a proper job! So I became a journalist, before marrying and having my family. Ultimately I trained as a teacher in the early 1990s. At my last school, a girls’ prep school in Haslemere, Surrey, I became responsible for drama, directing the annual productions there for 12 years. And I am now chairman of the Graffham Rustics amdram company in Graffham, West Sussex, having been a member for 20 years. We presented The 39 Steps in November 2014 and were proud to have June Whitfield in the audience, and at our last night party! For me, she brought the whole story to a full circle! This page was added by Ian Grant on 14/01/2015.